Announced back in July, Nokia’s new flagship N8 smartphone began shipping on the last day of September to those that had pre-ordered the device (it’s now available on most UK networks). As did the first review units sent out with almost military provision to chosen technology bloggers, this writer included. 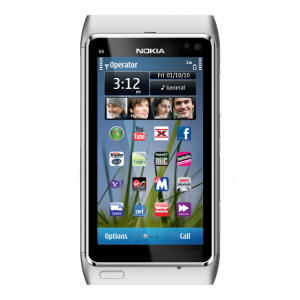 Having already declared “Nokia is back” at Nokia World, the Finnish juggernaut is to a degree framing the N8, the first to run the new Symbian 3, as a hard reset for the company as it attempts to return its once held leadership position in the smartphone space. Not in terms of marketshare (that’s not looking too shabby) but in terms of mindshare where Nokia has in recent times fallen behind iPhone, BackBerry and the relentless onslaught on Android. It’s in this context that the N8 is to be judged.